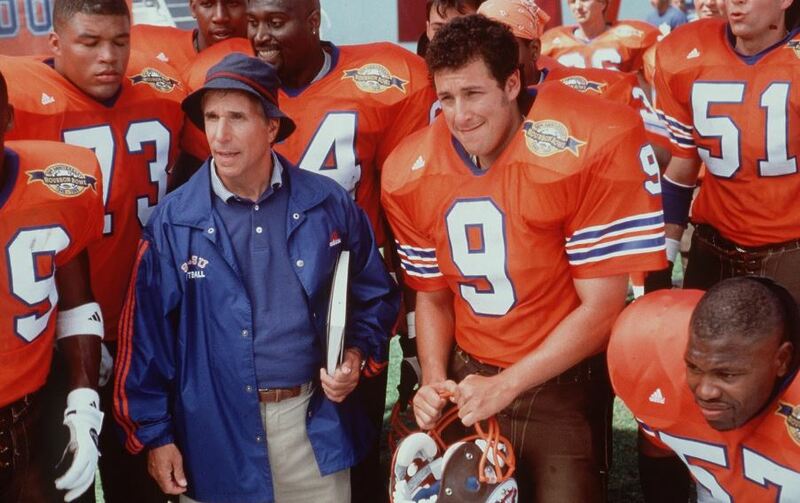 Bobby Boucher Jr. (Adam Sandler) is a local college’s football team waterboy. Unfortunately, the football team members make fun of Bobby causing him to lose his temper. One day he got so mad that he got himself fired. Not able to work at any other job, Bobby visited another local college (one with a terrible football team) where he meets a kindly, down on his luck, coach, Coach Klein (Henry Winkler). The harassment starts and Bobby retaliates. But this time, instead of being fired, the coach puts him on the team. With Bobby’s help, the football team wins games….a lot of games. Go to IMDb for more information. We watched this on Xfinity or Netflix….I forget.